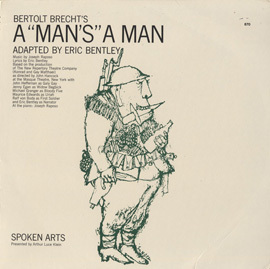 Bertolt Brecht (1898-1956) was an important German poet and playwright in the second quarter of the 20th century. 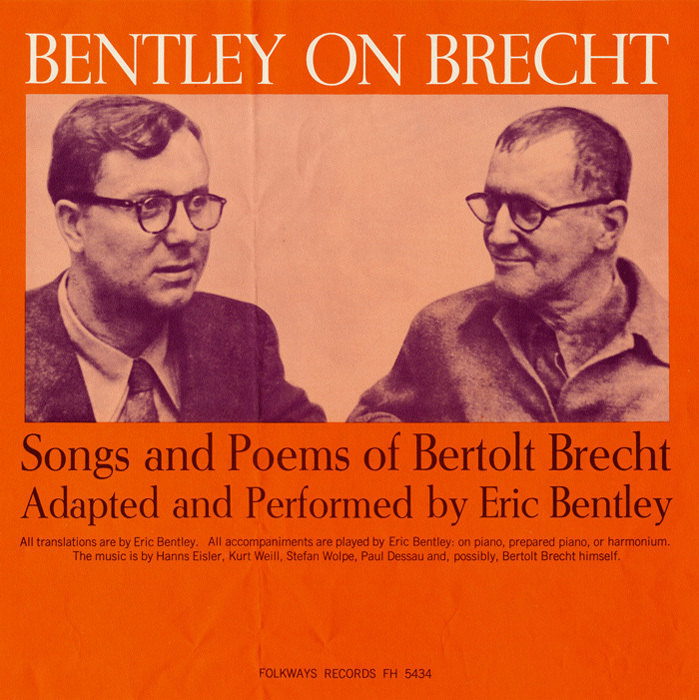 This recording of selected poems and songs is performed by theater critic, singer, and teacher Eric Bentley, who is considered to be a preeminent expert on Brecht. 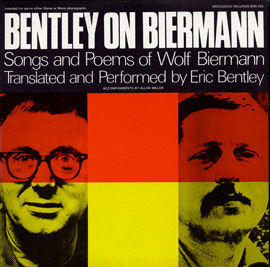 Eighteen of the 19 selections in this recording were translated and adapted by Bentley, who also plays piano and harmonium. 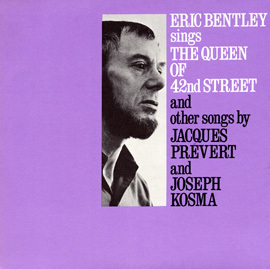 Of interest are the performances of two songs from “The Threepenny Opera”, perhaps Brecht’s best known musical: “Mack the Knife” (the last three stanzas only) and “Ballad of Sexual Submissiveness”, sometimes known as the “Ballad of Sexual Dependency”. 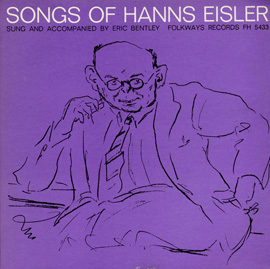 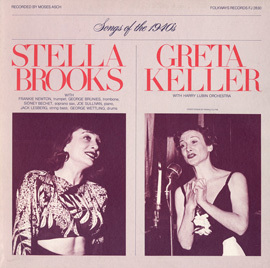 The liner notes include texts and musical notation.